She has learned to say this flatly and without emotion, the way she says her name (Marina), her doll's name (also Marina) and her age (seven). Her parents were killed in a car crash and now she lives in the orphanage with the other little girls. But Marina is not like the other little girls. 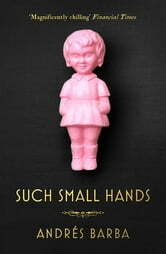 In the curious, hyperreal, feverishly serious world of childhood, Marina and the girls play games of desire and warfare. The daily rituals of playtime, lunchtime and bedtime are charged with a horror; horror is licked by the dark flames of love. When Marina introduces the girls to Marina the Doll, she sets in motion a chain of events from which there can be no release. 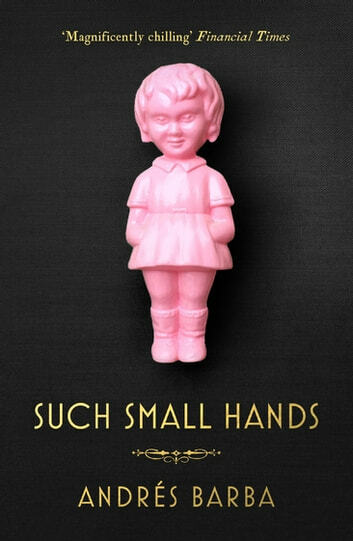 With shades of Daphne du Maurier, Shirley Jackson, Guillermo Del Toro and Mariana Enr�quez, Such Small Hands is a beautifully controlled tour-de-force, a bedtime story to keep readers awake.